The 2018-2019 Directors of the Student Council of Liberal Arts and Professional Studies. 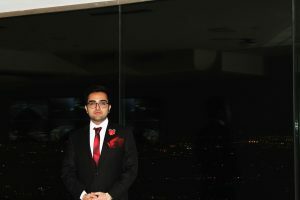 Muhammad Shahmir Masood is a third-year student in the Honours Bachelor of Commerce program with a specialization in Management. He is the recipient of the International Entrance Scholarship of Distinction York’s highest international award. He is a multilingual and can speak English, French, Urdu, Hindi and Punjabi. His experience in SCOLAPS has been serving on the Academic Petitions and Appeals, Research Policy and Planning and Tenure and Promotions committees as well as Faculty Council. On campus he has also been involved in residence, York International and as a Student Success Ambassador for LAPS where he has shown his ability to mentor and support people as well as keep them engaged and connected. 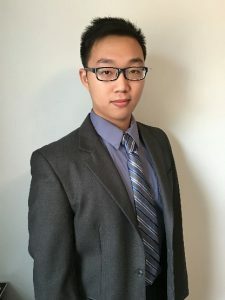 This year, he is also working on a research project to improve financial literacy resources specifically addressing student debt repayment and rehabilitation of Ontario Student Assistance Program. As the Director of Social Affairs for the new coming year, he will dedicate his time in creating various types of events to fit the different interests and needs of LA&PS students and help them better engage and connect with the community. Shahmir is extremely passionate about student engagement in academic governance and believes students in leadership roles is the future of educational institutions. He loves connecting and networking with people and helping them successfully transition to university and achieve success. He believes that listening, advocating and working for student concerns should be a fundamental goal of SCOLAPS for the year. Fun Fact: Shahmir believes education is the key to success and dreams of providing education to children around the world wherever it is needed. comfortable to engage as well as live well with it. Fun Fact: Chris sometimes mixes up different languages into his speech does not realize. Hammna Iftikhar is currently in her fourth year, completing her Honors BA in Law and Society. She is a student who is very passionate about Human Rights Law and aspires to build a career where she can work towards helping refugees and minorities. 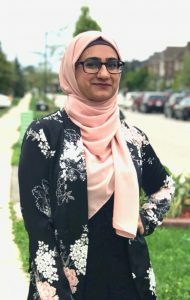 As an Executive member of Amnesty International at York, Hammna has always been concerned with Humanitarian issues and strives to help raise awareness and do her part for the community. Last year, Hammna served on the Committee on Teaching, Learning and Student Success where she gained insightful knowledge when working with the faculty on addressing certain academic issues. Through her past experiences, she has gained many valuable skills that she hopes to apply in her work and to bring forth positive change. As the Director of the Ian Greene Award for the 2018-2019 year, Hammna is ecstatic to be a part of the SCOLAPS team again and hopes to work hard in fulfilling her roles! Fun Fact: Hammna is a total bookworm, an addict of FRIENDS and loves winter.